What a fantastic afternoon for all at the Biggar Puppet Theatre as part of the Biggar Little Festival. 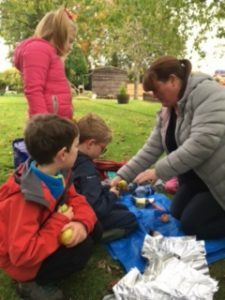 Wild Things ran some bush craft skills activities and then we were able to forage for our own food in the gardens and found some fantastic apple trees laden with fruit. 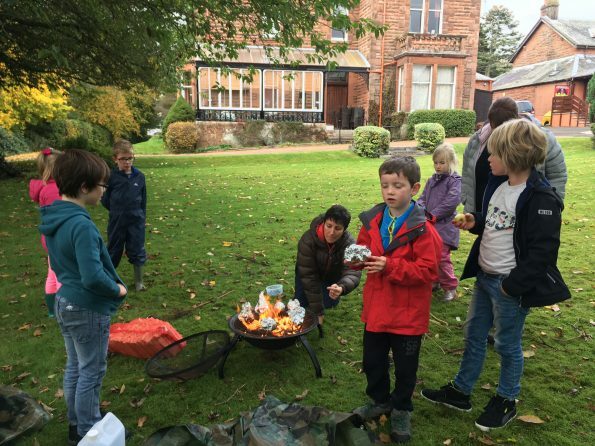 We filled the apples with butter, sugar and cinnamon and baked them on our fire pit…was a very scrummy end to a fab workshop.